It’s a sweet story of a mother’s love for her son and the lengths she’ll go to to protect him. 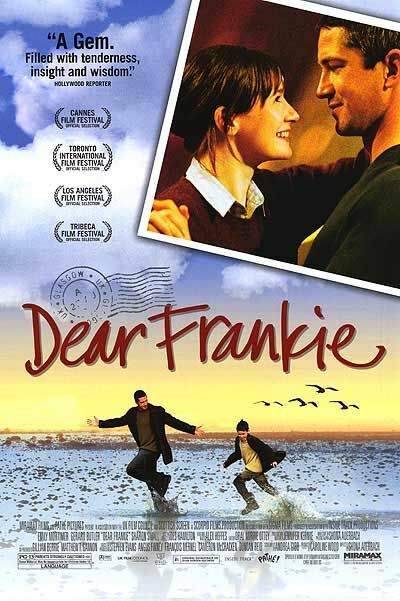 To save him from his abusive father, Lizzie tells her son Frankie that his dad is a sailor and at sea. But when the ship he’s on docks in Glasgow, the kid makes a bet with a school bully that his dad will show up at the football tryouts. So Lizzie hires a Stranger (seriously, in the credits, he’s called “The Stranger”) to pretend to be the Frankie’s dad. Gerard plays the Stranger, and he forms this bond first with the son and then with the mom. I wanted so badly to love this movie. I had heard great things about it, and I wanted it to be everything I hoped for. I was disappointed. It was an independent movie, which was great. But it lacked something in the story. Mostly, a conclusion. It just sort of ended. There was no wrap up or hope. Just mom and son sitting on a dock with no idea if the The Stranger will return. Also, I had a lot of questions that were never answered. At the end we find out that Frankie has been harboring secrets of his own, but we have no idea for how long he’s been keeping them from his mom. Will the Stranger return and find happiness and love with Lizzie? Will Lizzie allow herself to find roots? I find questions like that frustrating, and it really detracted from the acting and imagery of the movie, which were both top-notch. With high hopes I was disappointed. Low expectations meant the movie didn’t even have to be mediocre to meet them. And it was far better than that. 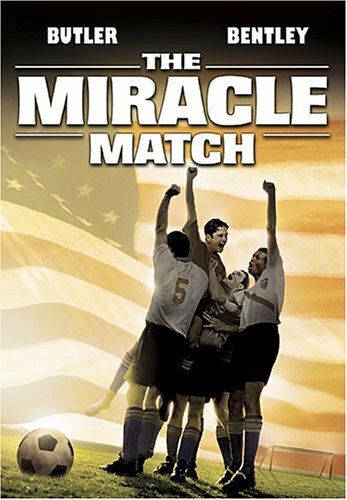 The true story of the 1950 US Soccer team’s defeat of England in the first round of the World Cup was truly inspiring. It wasn’t perhaps the same caliber of movie as many of the Disney true sports stories over the last several years, but it was a good story nonetheless. A hodge podge of soccer players–half from St. Louis and half from New York–are thrown together 10 days before they’re to fly to Brazil for their first game. They’re expected to lose, especially when their few practice games are disasters. And then the day of the first game of the World Cup, they stand on a US Army base in Brazil and are informed that the US has just entered a conflict with Korea. And as the men of the team, most of them veterans from WWII, accept their uniforms, they also accept that they’re playing not for themselves but for an entire country, which they serve. Very patriotic moment. It’s a great underdog story as this rag tag bunch of men go head to head with the team that was considered unbeatable. It was missing a stirring voice over at the end telling us how they did in the overall tournament, as we only get to see the one game. But it was still a good story with some really fun characters that I enjoyed rooting for. 1. “Good night”s – I love sleeping … probably more than I should, but there’s really something lovely about bidding the rest of the world farwell for the night and getting plenty of zzzzzzzz. 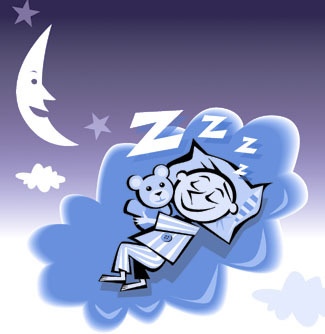 I even read a magazine article recently about how sleep can help you lose weight. I’m all over that! 2. Grandma Marian stories – My dad’s mom passed away before my parents were married, so I never got to meet her, but I adore hearing stories about her. My dad loves to tell the story about her really bad candle joke. My Aunt Chris has Grandma Marian’s wedding dress displayed in the guest room I always stay in and she’ll tell stories about grandma. It makes me feel like I know her. I wish I had. 3. Grandkids – More specifically my parent’s grandkids. Those would be my nieces Julia, Rachel, and Emily and my nephew Jacob. Cute, cute, cute kids! I love them tons and wish I could spoil them rotten! (But their parents wouldn’t let me get away with it.) I talked with Julia on the phone a couple weeks ago for 30 minutes! The kiddo is 5, and she carries on a conversation like a pro. She’s reading and writing now, and I’m proud as can be. Julia’s little sister Rachel is the pasty blond (she takes after Hannah) of the kids, but she is one of the funniest things ever. She has no qualms about sitting on my lap, begging for a drink of water then dumping it all over me. Emily is a crazy-girl with wild hair, who loves to run around and chase her cousins. And J-dawg … well, he’s still too little to know what he’s going to be like. But he’s a very handsome little guy. Well, done Hannah and John and Micah and Beth. 4. 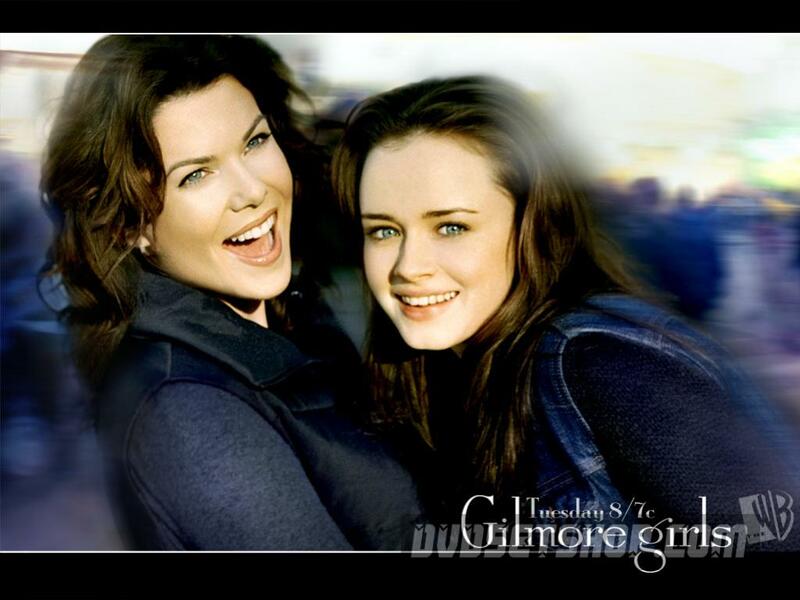 Gilmore Girls – This old WB show is one of the smartest, fastest shows now available on DVD. It’s funny and the mom/daughter relationship is wonderful. Even when I hate what the characters are doing, I love the show. 5. Google – I’m such a googler. No other search engine does it like Google. How did I ever survive before it? 6. Girl Scout Cookies – I mean, come on. Who doesn’t love them? And even if you don’t buy any for yourself (I had serious self-control this season, but it hasn’t stopped me from eating the offered cookies from friends), consider donating a box. 7. Grace – I guess this would be number one on the list priority-wise. But really … what could be more improtant. I need God’s grace more than anything else, because I am a sinner through and through. But I’m totally covered. It’s great to know that! 8. Grated cheese – You know the stuff that comes in the bag? I love it! I mean, I like cheese as much as the next person, but when I’m ready to put it on my taco, nachos, or quesadilla, the already grated cheese in the bag is amazing! It’s the convenience and the ease and the fact that my knuckles don’t have to face being skinned or even eaten alive by the grater. It’s a beautiful thing. 9. Garages – I just love having a garage. I like parking inside especially during the (usually) snowy Colorado winters. I like having extra storage space. I like … well, that pretty much sums it up. But I really do love having a garage. 10. Gerard Butler – My list just wouldn’t be complete without my one of my all-time favorite actors. He’s too adorable, and really quite a fantastic actor. If you don’t know him, check out my recent Phantom of the Opera addiction here. I also recently rewatched Nim’s Island, which has him in two roles–one a slightly nerdy scientist, the other an Indiana Jone-type adventurer. He’s plays them both superbly.